Unlock 17 exclusive video lessons. Everything in Premium track, but you'll also receive transferable college credit from the offering institution ($900 USD). In this course you will learn the essentials of programming real-time audio software, applying these skills to making your own audio devices, and more generally the exciting world of the Internet of Things. You will use the Raspberry Pi as a rapid prototyping platform, exploring the creative potential of real-time sensor and network interaction, combined with real-time sound generation, creating systems that respond to sensor input, communicate with other devices and play sound. Make your own musical instruments, develop devices for sonic artworks, and create new sound design concepts for sonifying everyday objects. Through this course you will develop a basic understanding of audio programming and the core concepts behind programming for the Internet of Things. You will be able to conceptualize and design your own innovative interactive devices. Welcome! ​This session introduces the course and the main tools we will be using in the course: the Java programming language, the IntelliJ development environment, and the Beads library for realtime audio. By the end of this session students will have their development environments set up and be able to run a basic audio program from their computer. 2. Multiplicitous Media: What's Happening in the Field? This session introduces some core concepts in Beads that allow you make and control sounds, either in continuous ways or as events, such as WavePlayers, Envelopes, Gains and other effects. By the end of this session students will be able to create simple realtime audio programs. This session introduces additional audio programming concepts in Beads for recording and playing back samples, creating synthesis algorithms, and sequencing musical patterns. By the end of this session, students will be able to create audio programs using more complex synths, samplers and sequencing algorithms. In this session, we introduce the Raspberry Pi and cover some of the basics of operating the Pi. By the end of this session, students will have their Pi set up on their wireless network, will be able to log into their pi and configure it, and will be able to send Beads compositions to the Pi. In this session, we bring what we have learnt in sessions 1-3 about audio programming and apply it to writing programs for the Pi. By the end of this session, students will be able to write and deploy Beads audio programs to their Pi. This session introduces more advanced programming techniques, and discusses how you dynamically develop programs on the Pi as you go, using our live deployment tools, and also store programs on the Pi to run in the future. By the end of this session, students will be able to better employ their creativity to compose realtime audio compositions on the Pi. In this session we introduce network communication, which we can use to communicate in realtime with the Pi from our controller computer, and also between Pis. By the end of this session, students will be able to set up network communication behaviours and remote control their Pis from a computer. This session introduces sensors, which we can connect to the Pi in order to gather information from the environment, and from user input. We introduce basic principles of sensors, how to set them up and how to program them. By the end of this session, students will be able to write audio programs that respond to sensor input. As we approach the end of the course, we look more broadly at how you may want to put together realtime audio programs. We discuss different design strategies and design patterns. This session will give students a more solid theoretical grounding in how to go about creating their masterpieces. In this final session, we look in more detail at one of our own creative projects working with the Pi, and present the creative assignment that will finish off this course. Ability to program basic real-time audio systems in Java, and to run and debug these programs on the Raspberry Pi. Understanding of how to create audio programs that respond to sensors and communicate over networks. Ability to design interactive sonic artworks from a human-centered point of view. Ollie Bown is a researcher and creator working in multiplicitous media, computational creativity and digital music, and above all a creative coding enthusiast. He comes from a highly diverse academic background touching on social anthropology, evolutionary and adaptive systems, music technology and interaction design. He has also been a practicing electronic musician and digital artist for over 15 years. He is interested in how artists, designers and musicians can use new computing technologies to produce novel and complex creative works, particularly through generative and computationally creative systems, and also in the context of ubiquitous computing. 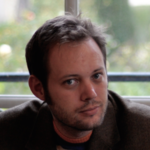 Following a bachelors in mathematics and social anthropology at the University of Cambridge and a masters in evolutionary and adaptive systems at the University of Sussex, he undertook a PhD looking at simulation models of the evolution of human musical behaviour at the Intelligent Sound and Music Systems group, Goldsmiths College, London. In 2008 he moved to Australia, working first at the Centre for Electronic Media Art in Melbourne, then at Sydney University’s Design Lab, where he held a postdoctoral fellowship. He is now senior lecturer at UNSW’s Faculty of Art & Design. He makes music in the groups Icarus and Tangents, and is a member of the media arts collective Squidsoup. He has worked with artists such as Aphex Twin and Four Tet. 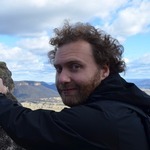 Sam Ferguson is a musician, researcher and developer who is based in the Creativity and Cognition Studios research laboratory at the University of Technology Sydney. He is focused on developing new methods for understanding and experiencing music and audio. He obtained a B.Mus from the University of Sydney, followed by a Masters of Design Science and finally a Ph.D from the same institution. His Ph.D was heavily interdisciplinary, combining data representation, acoustic and psycho-acoustical modelling, statistics and music. He has published research on interactive audio, acoustics, data representation and sonification, music, and human-computer interaction. His teaching in interactive media, IT and audio subjects has been recognized with university teaching awards and grants. A computer capable of running Java 8 and IntelliJ 2016. (See IntelliJ system requirements here https://www.jetbrains.com/idea/download/). Most recent computers will be capable. A Raspberry Pi version 2 or 3. The version 3 is the version you will receive currently (Jan 2017) and has wifi builtin. If you are using an older version 2 device you will also need to provide a wifi dongle. You can also use either version with ethernet cables instead of wifi. A micro SD with at least 8GB. Your Raspberry Pi needs a micro-SD to contain its operating system. Most Raspberry Pis sold these days will come with an SD card containing 'NOOBS', but if you haven't got one you'll need to obtain one. A WiFi router (normal domestic home WiFi router is fine). You'll probably need a wifi router that you can control. An ethernet cable may be required to connect your Pi to your WiFi router when you first set up your Pi. An audio output device. A powered speaker, headphones, stereo with appropriate mini jack input cable, or other means of listening to your Pi minijack audio output. You can use a fixed device (such as a stereo), but when you are using sensors you may wish to use a portable device, so you can explore the sensor's motion sensing capabilities. A Raspberry Pi SenseHat sensor This is required for sensor input to the raspberry pi. Other sensors can be used, but at this stage there is limited support. The Sensehat sensor provides acceleration, rotation, compass, humidity, temperature, and pressure. Note: You can extend to two or more Raspberry Pis easily. Please note: Taking part in a Kadenze course as a Premium Member, does not affirm that the student has been enrolled or accepted for enrollment by UNSW.